Despite the costs that come with living the Los Angeles lifestyle, the city has a diverse economy and offers expats a number of career opportunities in the entertainment, medicine and tourism sectors. The city of Los Angeles, more commonly known by its initials (L.A.), is a major city located in the state of California in the United States of America. 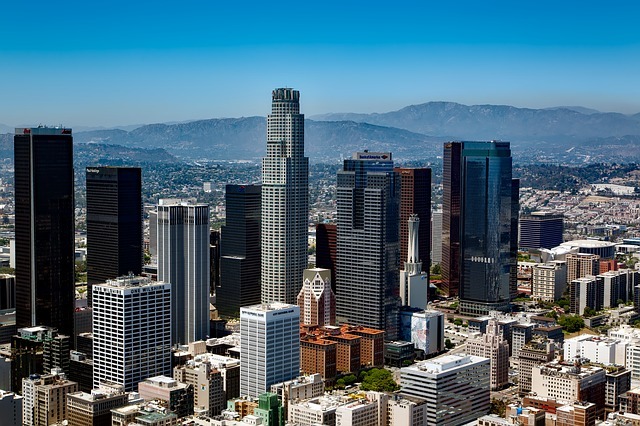 Containing over 18 million people, Los Angeles is one of the most populous metropolitan areas in the world and is ranked as the 2nd most expensive city in the US, according to the Economist's Worldwide Cost of Living Survey posted in March 2016. Los Angeles was discovered in 1781 by Felipe De Neve who was then the Governor of Spanish California. The city’s original name was El Pueblo de Nuestra Senora la Reina de Los Angeles de Porcincula which means Our Lady, the Queen of the Angels of Porcincula. At first, only a few families were living in Neve’s newly discovered city, but by 1800s the population eventually grew to a total of 315 inhabitants. It was in 1848 when the United States forces took over the town and called it Los Angeles. A year after, the historic Gold Rush started which brought hundreds of Americans and people from other countries. It was in 1923 when the Hollywood sign was put up and is now considered as the icon of the city’s booming entertainment industry. In 1848, gold was found to be abundant in California, which led many immigrants to the city. Another reason which brought settlers to Los Angeles was the warm, sunny climate. L.A. is home to people from over 140 countries, and 224 languages have been identified to be spoken within Los Angeles.Los Angeles has a racial composition wherein Mexicans are the largest ethnic group, composing of 31.9% of the local population, with other Asian ethnic groups including Filipinos (3.2%) and Koreans (2.9%) along with Chinese (1.8%) making a significant number in the city’s population. English is still the general language used in Los Angeles, but Spanish is commonly spoken by 43.6% of the population, while Asian languages being spoken by 7.9% of the population in L.A. Although Los Angeles has a diverse racial population, Mexican and Spanish cultures continue to have a strong presence within the city until today. Presently, Los Angeles is best known worldwide for its thriving media, film and television industry, where celebrity culture is widespread in the city. A number of internationally-recognized celebrities reside within Los Angeles to be closer to the production process of movies, television shows and music recordings that take place in numerous studios within the city. Hollywood, Sunset Boulevard and Beverly Hills are the first images that would pop up in your head when someone mentions Los Angeles. This vibrant and fast-paced cosmopolitan is the second largest city in the United States where thousands of expats from different parts of the globe has come in search of their dreams. You will find yourself moving here with the sheer hope of being a part of one of the most powerful economies in the world where promising career opportunities are open in the entertainment, telecommunications, law, finance and healthcare industries. Los Angeles is also made up of several very multi-ethnical and culturally diverse communities so it’s no doubt that you will eventually bump into someone from your home country. The adjustment period will be nothing but a breeze and if you’re more than ready to move in the famed ‘City of Angels', read the next few guidelines that can help you make a smooth relocation. Underneath its façade of beautiful golden beaches and glamorous metropolitan, is the issue of the high crime rate that usually occurs in the ghetto area. Because of this, you should exert extra effort when it comes to choosing where to live. It's best to do some research about the different suburbs by browsing through websites that post real estate advertisements in Los Angeles to gain some idea about the location and price range of the accommodations. It would also be helpful to ask fellow expats about referrals and experience in a particular neighbourhood or better yet, hire the service of a local broker to assist you in your search. Be very precise when it comes to your budget and particular needs so that the agent can give you the best options in the housing market. The cost of your utilities like water, gas, electricity and garbage collection are not usually included in the rental pay. In Los Angeles, you need to budget at least €120 monthly to cover these bills. You can also get an unlimited internet connection for around €50 per month and make local mobile prepaid calls at €0.15 per minute. Expats moving to Los Angeles will enjoy a warm weather that lasts almost all throughout the year. July is considered as the hottest month where the average temperature during the day is 22⁰ C. The city also experiences moderate rain showers or occasional thunderstorms from the months of November until March. But overall, Los Angeles has a Mediterranean climate where the residents enjoy the cool breeze from the ocean and just enough heat during the day. Expats will notice that every local love to go out to the beach for a dip or to get a perfect tan under the warm sunshine. Going online is the best way to find housing options in the city, and it can also help you find more affordable accommodations. Some single expats find it more convenient and cost-effective to also share an apartment or share a room. You may check Roommate Click and Easy Roommate for listing on shared residences. 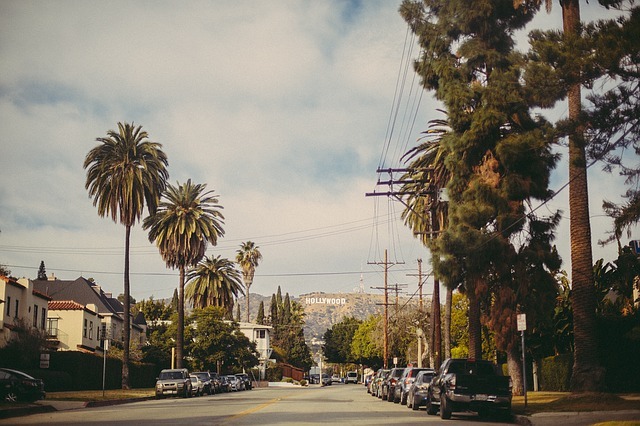 Los Angeles has a wide array of housing options such as luxurious Beverly Hills mansions, beachfront houses, traditional two-storey American homes and apartment buildings. The typical contract is a minimum of one year period which is considered long term but you can negotiate with the landlord for the shorter lease agreement, depending on your planned length of stay. You should also expect to pay an initial deposit that is equal to a month’s rent and an advanced two month’s rent payment to secure a particular unit. Proximity to the schools, work area and amenities have always been vital factors when choosing an accommodation that’s why you will find most expats living in the city centre where the cost of a one bedroom apartment starts at €1650 per month and €3200 for a three bedroom unit. If you are amenable to travel a little distance and wants to live outside the bustling metropolitan, you can find rentals in the outskirts for around €1250 monthly for a one bedroom flat and roughly €2500 per month for a three bedroom unit. You can find furnished accommodations in Los Angeles and even the unfurnished apartments often include white label appliances such as washer, refrigerator and stove. If you are still planning on bringing some furniture and belongings, it's best that you contact an international shipping and removal company to assist you in importing your shipment to Los Angeles. It takes about 22 days, depending on your origin, for the containers to arrive at the Port of Long Beach where customs will conduct an inspection of the cargos before allowing their distribution to Los Angeles. You can click here to find out about the city’s import regulations. Quarantine is not required when importing a pet to Los Angeles, but all animals are subject to physical examination by a local customs veterinarian to ensure that they are free from any infectious diseases. You also need to provide the original copies of your pet’s Rabies Vaccination Certificate and International Health Certificate that are both signed by a licensed veterinarian from your home country. Despite its enormous population and obvious traffic issues, this city is still pretty much a vibrant place to be. The idea of walking barefoot on the white sand coastlines, being sun kissed by the year long warm climate and living in the heart of the biggest entertainment industry in the world are just the top of the long list of reasons why Los Angeles is a perfect choice for you. Driving and cabbing are the main ways to get around, though daily traffic jams are notorious. Learning the traffic signs, rules, highways and shortcuts is a must. Los Angeles is more commonly known by its initials (L.A.) and is the second-largest city in the whole USA. As time passed, more and more immigrants from all over the world made Los Angeles into a new home, particularly immigrants from Asian countries. Today, Los Angeles has a population of over 18 million and is home to people from over 140 countries. 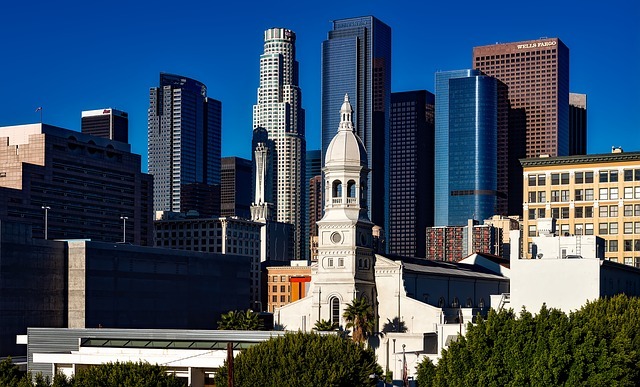 Expats may also feel more at ease about working in Los Angeles as 224 languages have been identified to be spoken within the city. The warm weather, natural surroundings and job opportunities that Los Angeles offers are attractive reasons for expats to work and experience life in a cosmopolitan city where the entertainment industry flourishes. When we think of LA, the Hollywood sign flashes in our minds. The seat of television and film industry. But how inviting is Los Angeles to expatriates living in the city? Let’s find out. Working expats will never run out of grocery stores when they live in Los Angeles. From small markets to big chain stores, name it and they have it. Locals normally find everything they need: fresh produce, medicines, clothes, etc. in one store. Some of the popular markets in LA are Ralphs, Pavilions, Vons and Vallarta Market. Take note that these supermarkets are even classified by ethnicity mirrored to how the city is -- multicultural. Since LA is a home of entertainment in the US, it is definite that you find leisure activities in every corner. The best way for expats to have fun with these is not to go over their budgets. What many do when in Los Angeles is to look for free things to do. Free concerts, date nights, amusements and even yoga classes are outpouring here. For kids, taking the time to visit the Universal Studios Hollywood, The Getty Center, California Science Center and Griffith Observatory are just some of the hundreds of attractions. Los Angeles is hip and cool in many ways. The way people dress here is remarkably loud. Locals would not settle with going out with a simple jeans and shirt but would try their best to always add some “pizzazz” to it. Expats must also be briefed that it is part of the norm to spot celebrities everywhere. Of course, getting excited and amazed when it is your first time to see one is pretty normal. Many LA phrases are very common here as well so best to do your research once you live here. Some phrases are Bueno - good in Spanish, WeHo - West Hollywood and Hella - extra good. Life in Los Angeles can be overwhelming, streets are busy, and people are active. Adjusting to the city may take awhile. Getting used to a rush hour which runs for 6 hours, dealing with everyone wearing flops with anything and people’s opinion on just about anything may take time. But, LA is such a vibrant city which makes it odd not to get the hang of it.